Van insurance is slightly different to standard car policies and you need to make sure that you’re adequately covered. If you have just bought your first van the insurance guidelines can be confusing. Whether you’re driving for pleasure or business, which type of insurance is right? 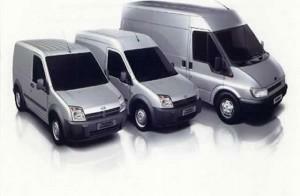 All vans are classed as commercial vehicles, even if you don’t actually use them for business purposes. This means that the way they are insured is different to cars. However, as with all vehicles you must ensure that they are properly covered, even if they’re not actually in use. Under the Continuous Insurance Enforcement policy it is illegal to have a vehicle without insurance unless you have told the DVLA that it is off the road. So what cover do you need for your van to ensure you don’t flout the law? If you only use your van for social, domestic or pleasure reasons then you can take out a personal policy. This will cover you if your driving is related to your hobbies or day-to-day activities. However, it will not be valid if you use your van for anything to do with work. Unlike car insurance, this type of policy will not cover you if you use your van for commuting to work, even if it is then parked all day. If you drive to the office insurance should be obtained through a commercial van policy. There are a number of grey areas with this type of policy and obviously if you are in any doubt you should speak to your insurance company. For example, if you used your van to sell things at one car boot sale then it could be classed as personal use. However, if you were to sell at a few then an insurer might see that as a business. You might pick up a friend from work for an evening out, but if you drive regularly to an office insurance companies could view that as a commercial reason. If you have decided that you definitely need a commercial policy then there are also different classifications within this. Depending on what you use your van for there are three different elements: carriage of own goods, carriage of goods for hire or reward and haulage. If you use your van to commute to work or as part of a self-employed profession, such as plumber, builder or gardener, then you need to have cover for carrying your own goods. However, if your business involves delivering goods for money you need additional cover. Carrying goods for hire or reward generally applies to couriers and delivery drivers, either as part of a fleet or a sole trader, who deliver to different locations. A haulage company is seen as one which has clients and runs to a delivery schedule. As with any type of insurance policy, if you have any questions or require additional clarification you should contact your insurer. When you’re not used to van insurance policies it can appear very confusing. However, if you understand exactly what you’re using the van for and make sure that you’re honest with your insurance provider then you shouldn’t have any problems.